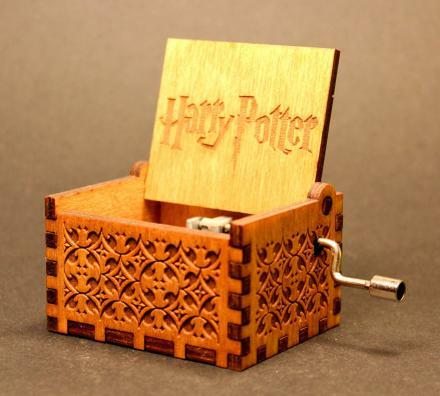 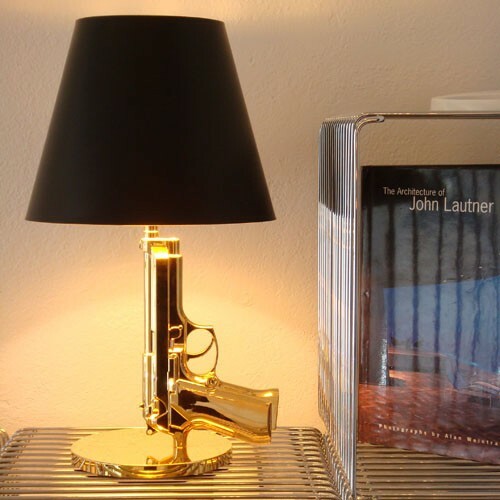 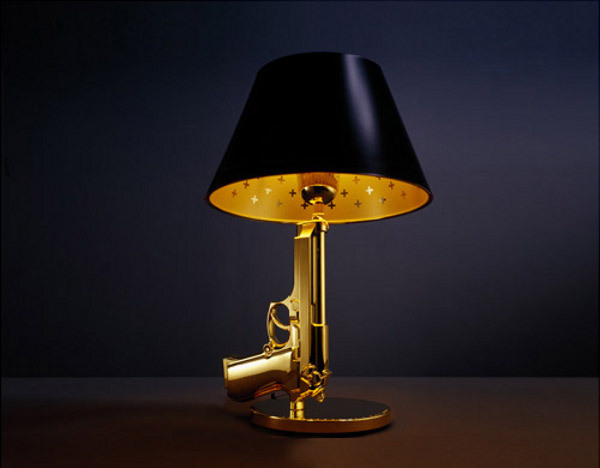 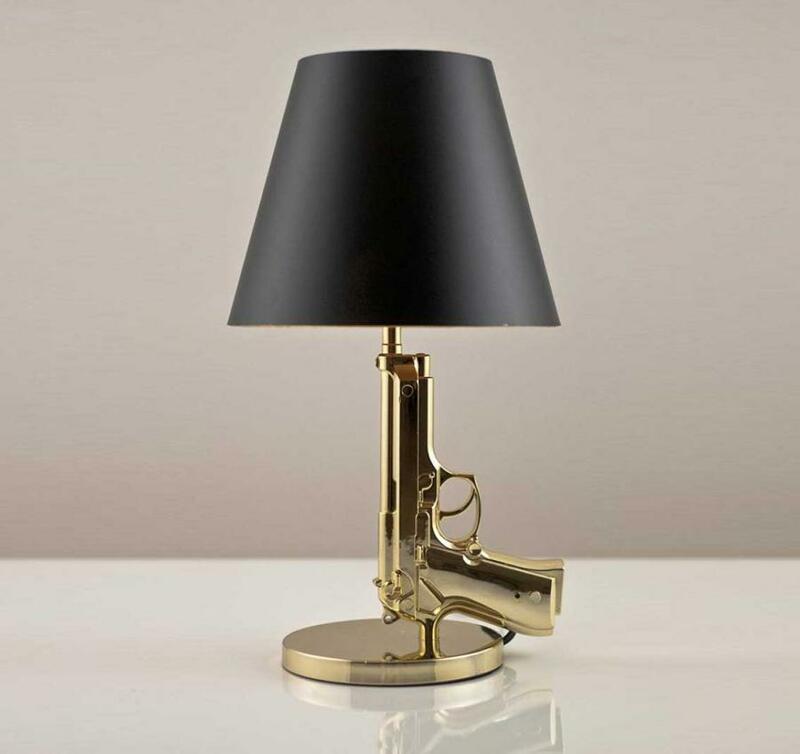 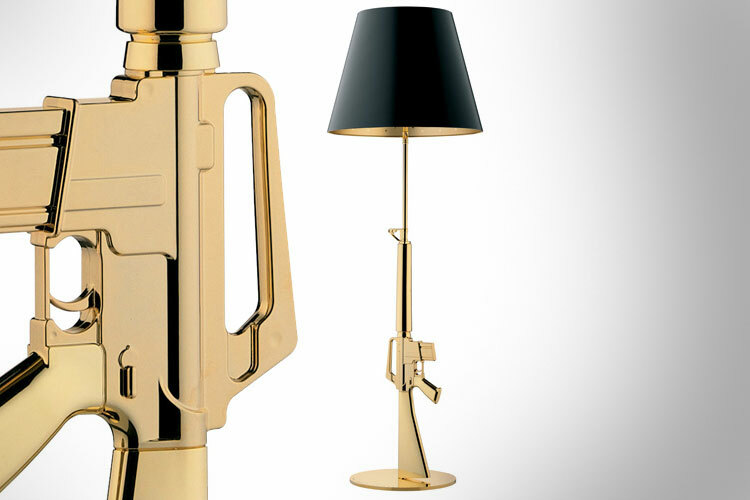 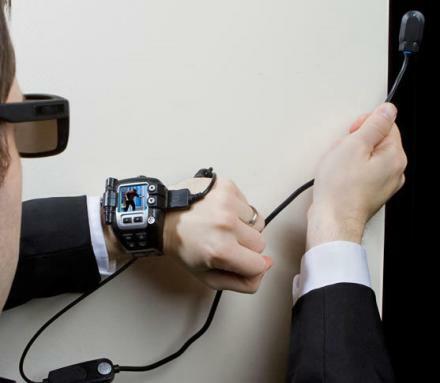 The hand gun lamp is a table lamp that has a base that looks just like a hand gun and is suitable for only the classiest of households which also contain a gunrack nearby, a desk with a hidden gun compartment, and one of those tables with a shotgun strapped underneath it for when you catch someone cheating at poker. 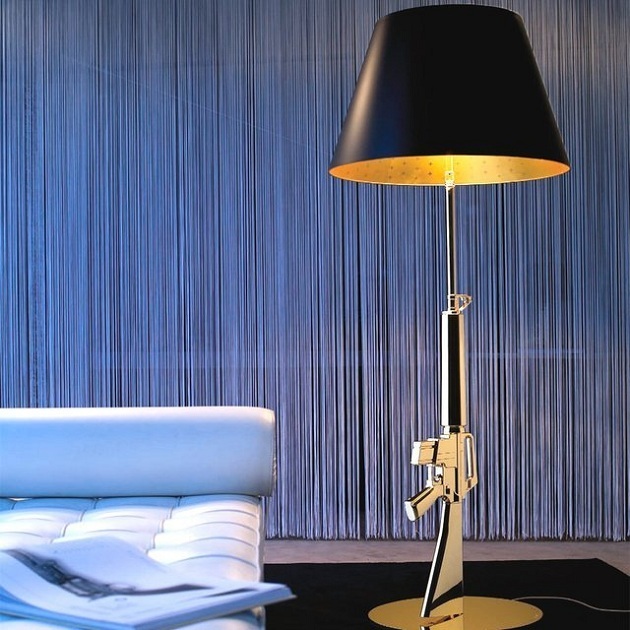 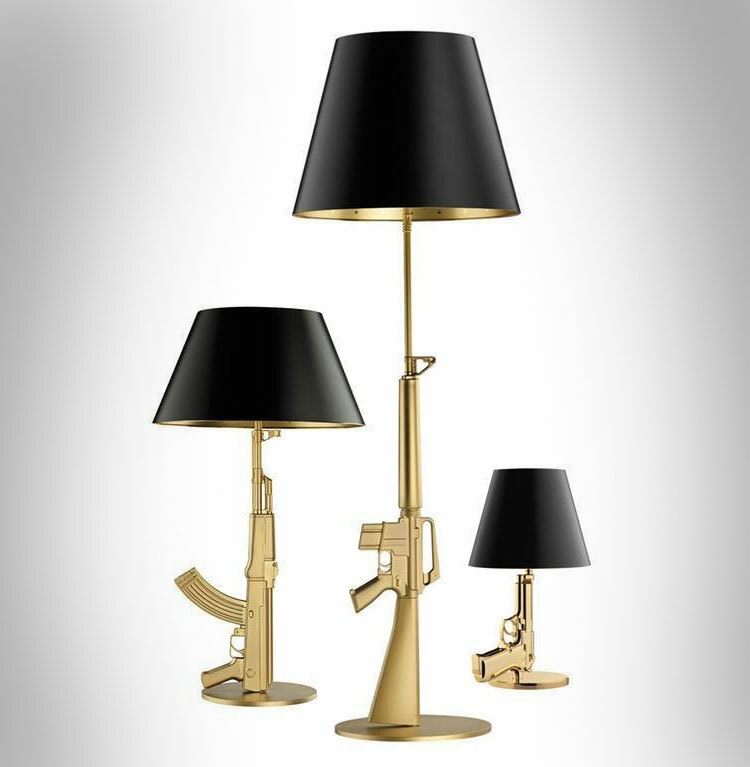 The Philippe Starck Gun Lamp comes in three different styles, a hand gun table lamp, an assault rifle table lamp, and an assault rifle floor lamp, all of which are made from the same materials, and all of which will add the same amount of awesome to your home. 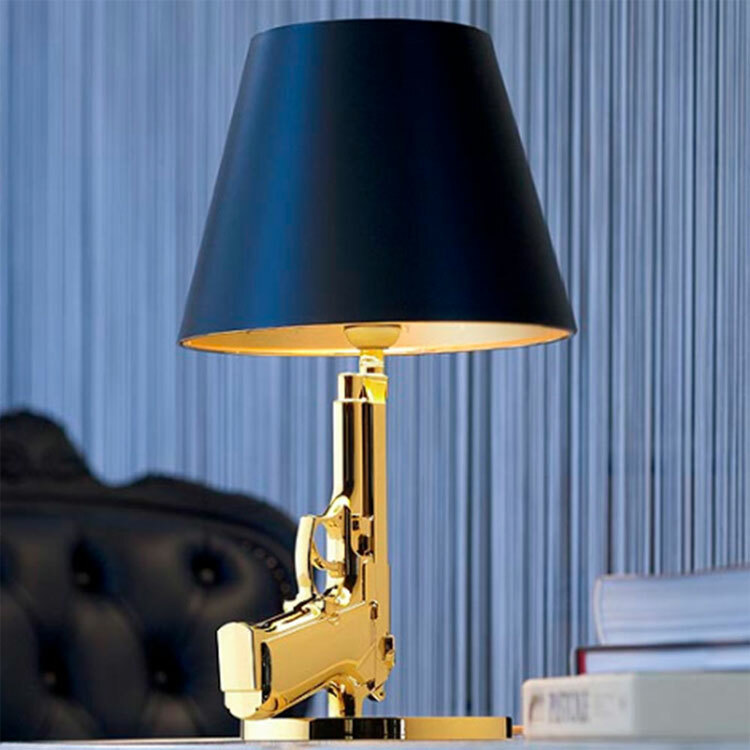 The hand gun lamp is made from die cast aluminum with a gold gloss finish, has a matte black plasticised paper shade, and measures 9.5 inches in diameter and 17.5 inches high.